It is the process of removing round plugs or cores from your lawn. Core aeration is performed to reduce turf compaction and improve soil drainage. It can be performed as a stand alone service but when combined with slit seeding or over seeding it allows seed and fertilizer to better permeate your grass to help revive it. Dethatching or power raking the turf. With this process we will rake out the dead organic material from your lawn, what allows your turf to breathe better. Dethatching improves seed to soil contact when over seeding. Over seeding with topdressing of lawn. This is the best option when there are significant areas of the lawn which are bare. We put down a very high quality seed then evenly spread ¼ inch of enriched garden soil over the lawn. The topdressing will act as s slow release fertilizer for the existing lawn and an ideal base for the newly seeded areas to germinate and take hold. If it has been a while since your grass has been thick and lush and you’re now looking at large bare spots this may be your best choice. 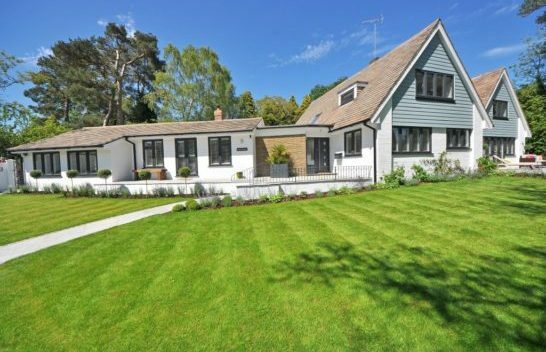 One of these services or a combination of them may be needed to fully repair and rejuvenate your lawn and improve a curb appeal of your house. Do not hesitate to contact us for a professional evaluation and quote.